When I powder coconut palm sugar, I always use my Vitamix. The Vitamix gives a much lighter, softer, and finer texture than any other machine I have used. I’ve also heard of people powdering palm sugar in a coffee grinder or Magic Bullet. This will work if you don’t have access to a high-speed blender. Use powdered coconut palm sugar in frostings and cake recipes where powdered sugar is called for. Make sure to sift the powdered sweetener before adding to your recipes to prevent un-powdered granules from slipping through. 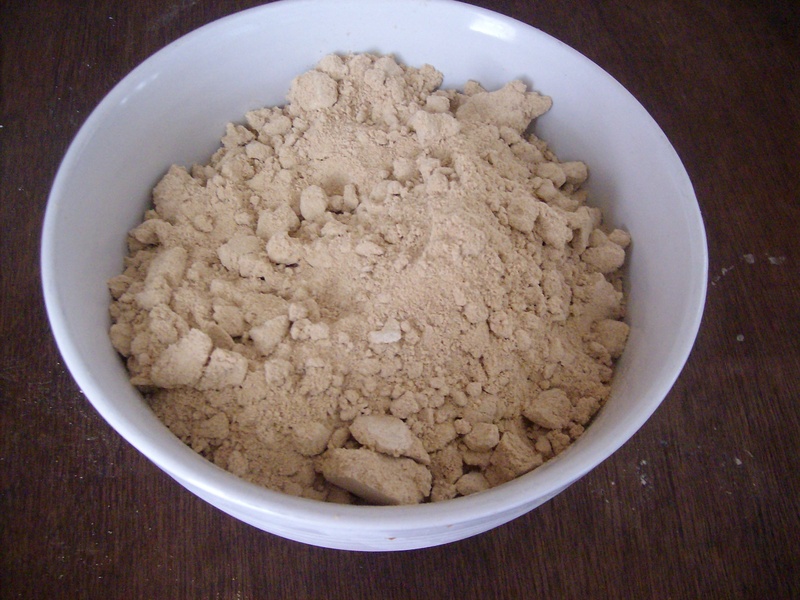 Homemade powdered coconut palm sugar, great for frostings and cakes. In a high-speed blender (or equivalent), blend palm sugar and starch together for 1-2 minutes. Store in a glass container until ready to use. I have used powdered coconut palm sugar in recipes, but not often. I haven’t run into any issues with grittiness in baked goods; however, I always use powdered coconut palm sugar in making homemade chocolate as it makes the final product much, much smoother. I hope that helps! You are currently reading "Powdered Coconut Palm Sugar"